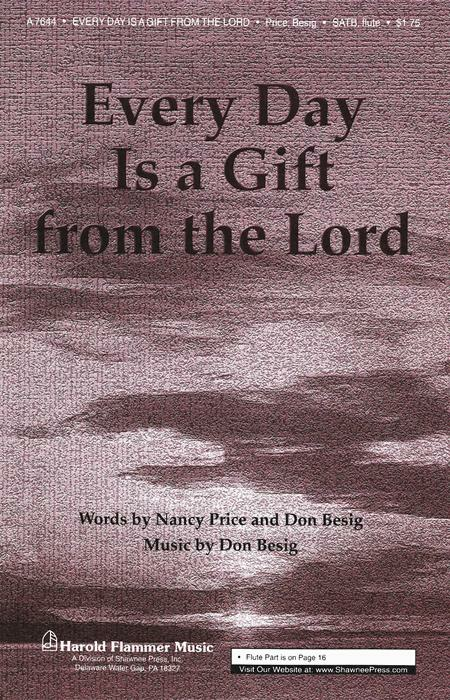 By Don Besig, Nancy Price. For SATB Choir. Choral, General Use, Obligato Instrument-Flute, Graduation and Sacred. Sheet Music. Published by Shawnee Press. The lilting melody and flute obbligato give a Celtic sound to this new song of thanks. Every Day Is a Gift from the Lord recounts the beauty of creation, the power of God's grace, and the endless joys to be found in living, loving, and learning. The text is warm and gracious. Share this prayer of thanks with your choir and congregation throughout the year. It is a wonderful reminder that ?every day is a gift from the Lord. ?.